Credit cards are a payment staple for many consumers. Although there are fees associated with processing credit cards, you should consider potential sales losses by not accepting them. As I always stress, do your research to help you decide if/how you should process credit. Below are some questions to ask to get you started. In the U.S. alone, consumers collectively had over 609 million credit cards (Source: "The Survey of Consumer Payment Choice," Federal Reserve Bank of Boston, January 2010). That's a lot of cards! One of the main reasons small businesses don't accept credit cards are the fees associated with processing. You will need to include this fee in your pricing strategy to determine if you will need to raise your prices. 1. What fees are charged per transaction? Do the fees vary? Most credit card processors charge a per transaction fee plus a percentage of the total purchase price (for example, $0.30 per transaction plus 1.9% of the total purchase price). Fees can vary depending on whether the customer is in the store and you swipe the card versus typing in a card number or paying online. Also, the type of credit card may result in a higher fee (for example, an airline miles card usually costs more to process). Conversely, you also have the option to use a credit card processor that offers a flat rate like Square, Paypal, or Google Checkout. 2. Are there any other fees associated with processing credit cards? Find out if there are other costs like monthly fees, regulatory fees, statement fees, etc. All potential fees should be spelled out clearly before signing a contract with a processor. 3. How much will a terminal(s) cost? A terminal is the actual machine in which you swipe the credit card. Opt for purchasing rather than renting a terminal because rental fees are often exorbitant. For example, purchasing a terminal may cost $200-$350 while renting could cost as much as $139 per month. 4. Is the credit card processing system compatible with your online store? You will want your processor's software to be able to connect with your online store so that both your brick and mortar sales and your online sales can be processed together. -If you already have an established processor, give them a call and try to renegotiate your fees. Processors sometimes charge higher fees for new businesses because of higher risks. Being a loyal customer may save you some money! -Be wary of a processor that wants to charge you a setup fee. You shouldn't pay a fee for the "privilege" of using their system. To read more about credit card processing, check out these two great articles on Entrepreneuer.com-- "5 Questions You Must Ask Your Credit Card Processor" and "How to Cut Transaction Costs on Customer Purchases". 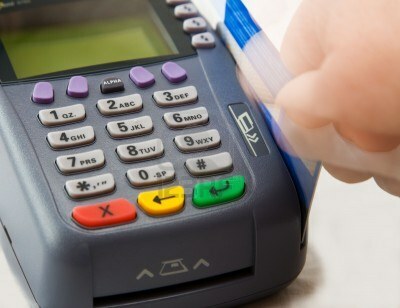 As an ag business owner, do you already accept credit cards? Do you think that the convenience is outweighed by the fees? If you don't accept credit cards, why not? How frequently do you lose customers because you don't accept credit?